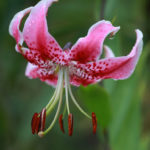 Lilium speciosum var. 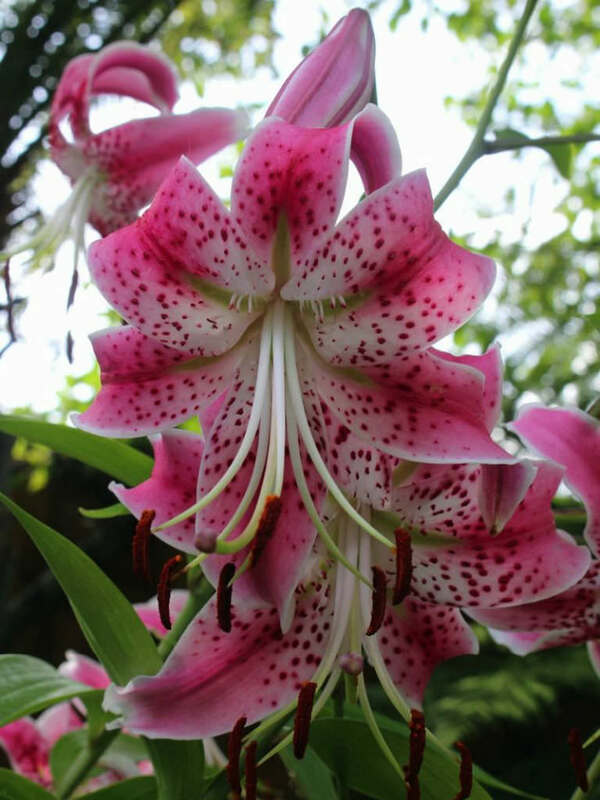 rubrum Lem. 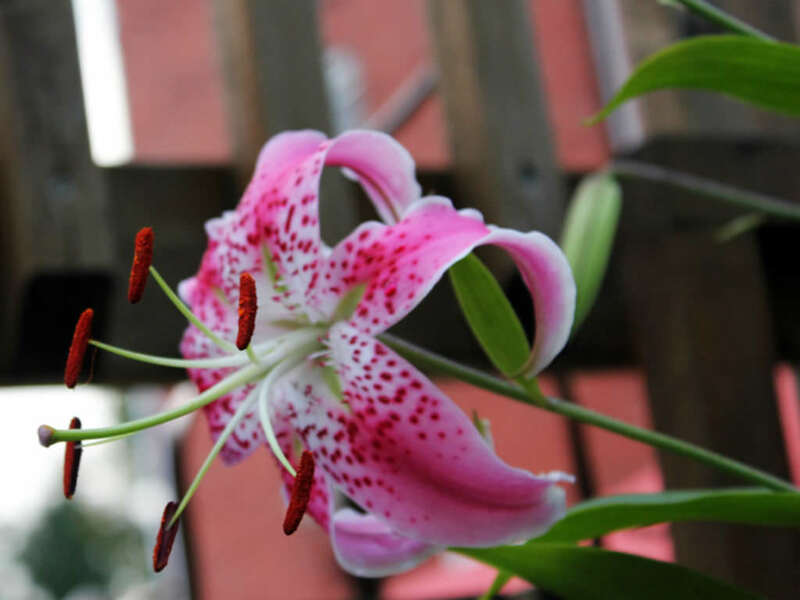 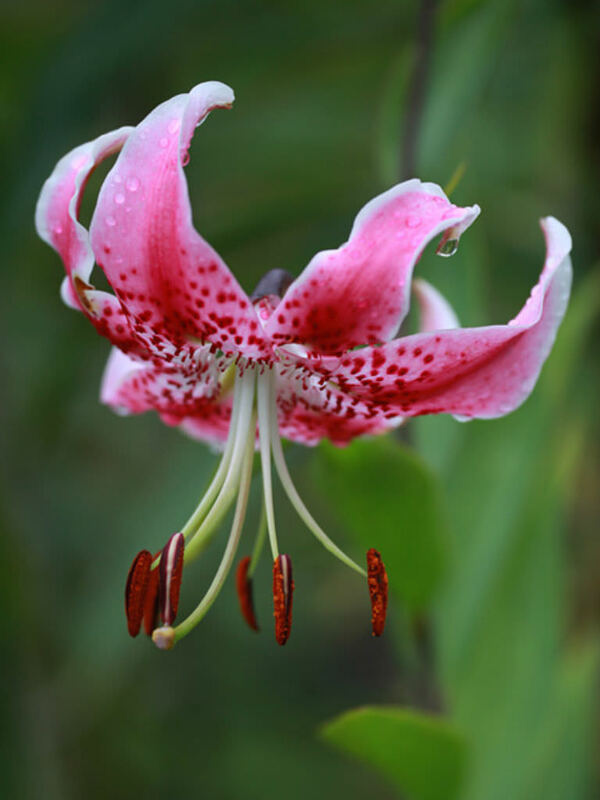 Lilium speciosum grows up to 4 feet (1.2 m) tall and up to 1 foot (30 cm) wide. 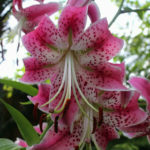 The flowers are large, fragrant, deep carmine-pink with purple-brown stems and are produced in late summer and early autumn. 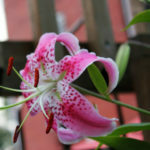 USDA hardiness zone 5a to 7b: from −20 °F (−28.9 °C) to 10 °F (−12.2 °C). 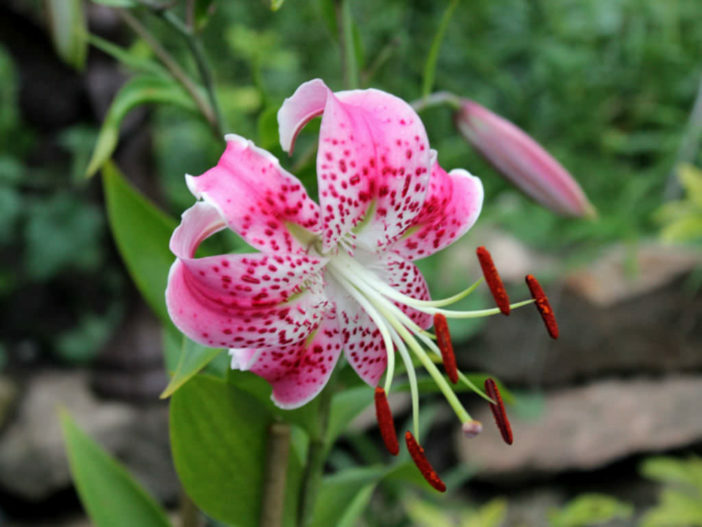 Native to southern Japan and southern China.